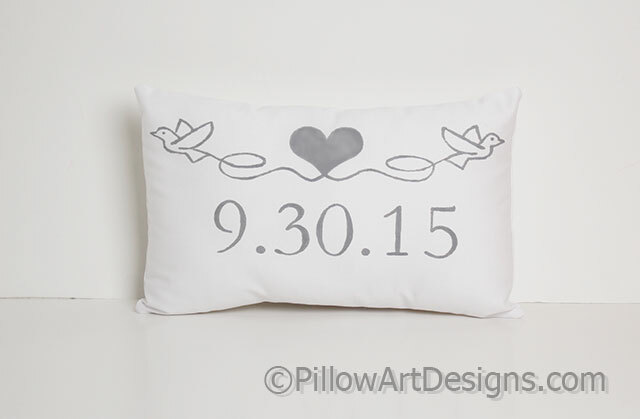 A small white pillow with numerical date painted below a centred heart flanked by two white doves on either side. 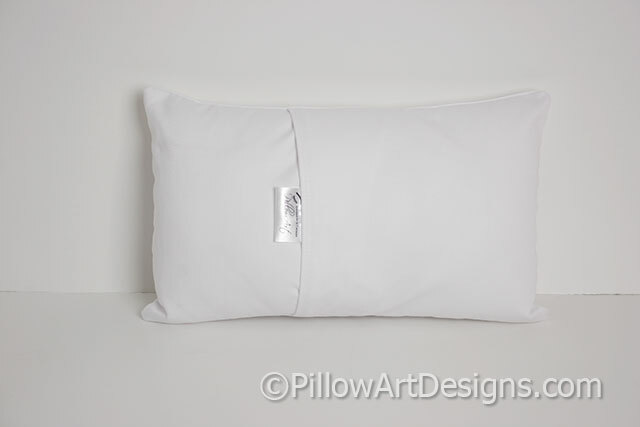 Pillow measures 8 inches X 12 inches, comes stuffed with hi loft polyester fiberfill, no need for an insert. 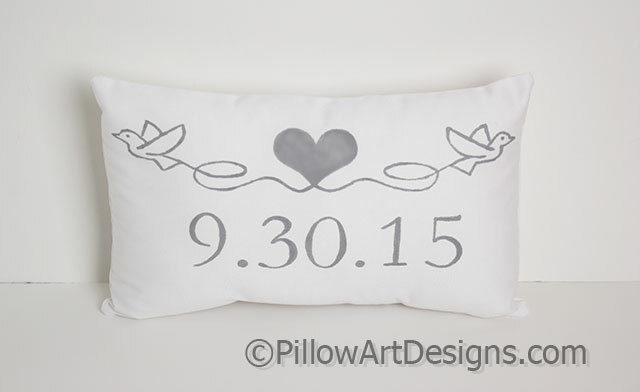 Non toxic fabric paint, will not wash off, flake or rub off. 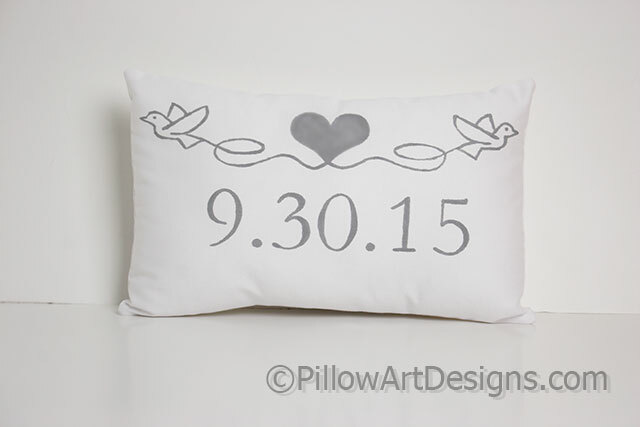 To order, purchase this listing and remember to send me a note with the date you wish for the front of the pillow.